Eien Strife is a cosplay musical concert based on the story of four adventurers from the world of Terina. The band has been touring anime, comic, and gaming conventions all over the US and have recently released their first full length album "Full Speed Ahead." Their high energy show is a unique concert experience as the four members bring to life a story that has never been seen before. 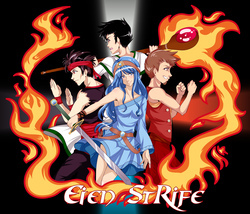 Having a sound that is directly influenced by anime and gaming soundtracks, the members of Eien Strife perform songs that share their adventures with the audience while interacting by way of animations and cosplay. with subjects ranging from music in gaming and anime to interactive "choose your own adventure" quests. Since the group's forming in 2011, the four heroes of the cosplay adventure rock band have been touring conventions all over the United States while putting on a brand new concert every time! It's hard to explain everything that you will experience when you attend an Eien Strife concert. With high energy songs, catchy dance breakdowns, hilarious 8-bit animations, and crowd interactions like never before seen, there is something for everyone at an Eien Strife show. Since the release of their full length album Full Speed Ahead, the performers have sold thousands of copies at their shows and have recently recorded a new single with well-known voice actor and musician Todd Haberkorn. Eien Strife is known to provide a highlight performance of conventions everywhere they share their high energy show. 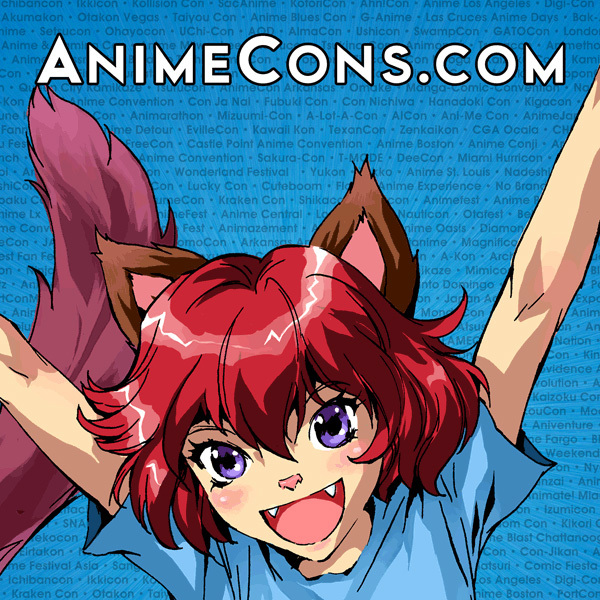 It is guaranteed that Eien Strife will always work hard as performers, guests, and promoters to any convention they take their adventure to!